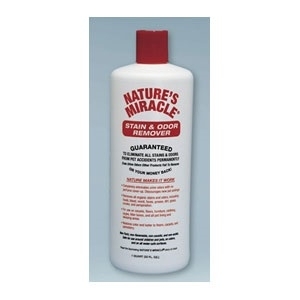 Nature'S Miracle Stain & Odor Remover 32 Oz. 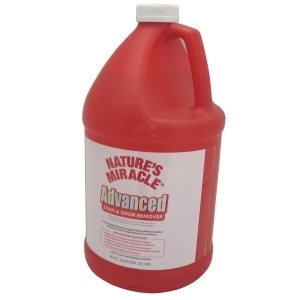 Will permanently eliminate all stains and odors - even urine odors other products fail to remove. Guaranteed to remove cat urine, spray, vomit, feces, and other stains and odors permanently. Safe for use around children and pets and on colors because it s non-toxic, non-flammable, non-caustic and non-acid. Safe on all water-safe surfaces. 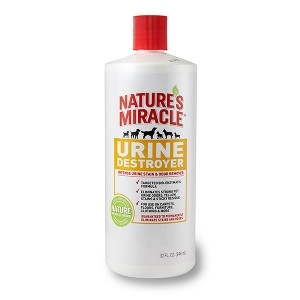 Nature's Miracle® Urine Destroyer is specifically formulated to remove your pet’s worst urine-based stains and odors from carpets, hard surfaces, clothing, kennels, carriers, and more.